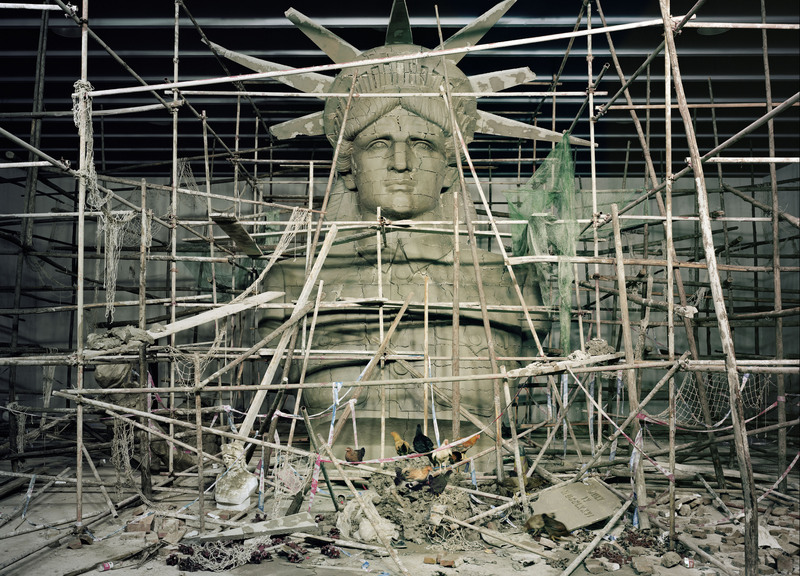 This exhibit presents the work of some of the most dedicated Chinese contemporary artists who explore in their works the issue of human rights in China, focusing on such issues as democracy, homelessness, corruption, prostitution, unwarranted incarceration, and appropriation of public resources for private benefit and more. Using a variety of media – painting, photographs, documentary video, sculpture, installation and music – they present the normal circumstances of life in China where human rights are commonly abused. Compared to the high-speed development of the economy promoted by the Chinese government, human rights have been delayed in this social political system that caused intense conflict in Chinese society. Even the basic rights for modern society are challenged. Artists are not only living but also watching and showing the social condition. Thus, artists encounter the limitations of free expression in their art and normally confront problems of social rights. So the nature of an artists’ work relates both to his society and to his intent to convey its problems through his art. When an artist examines social rights, his work always is a record and presentation of society’s injustices. When art protects social rights, it lasts longer, for the art works provide cultural understanding. In the end, such art works rise above social interests and present the issues and different cultural value systems.